We put our heart and soul into it and host our Guests with passion. Your opinions are, therefore, very important for us and at the same time are the best reward for our work. Below, a few opinions from our previous Guests can be read. 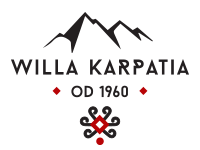 It you want to share your opinion with us, please send it to us to the following e-mail address: willakarpatia@willakarpatia.pl. Thank you!